We stream every pub review in Lanarkshire live here. If someone’s had a great pint, found a great pub or bar or perhaps had a bit of a tough night out in Lanarkshire, you’ll find it here. Share your experiences and add your own pub & drink reviews. 13/10/2012 Great pub, great atmosphere :) highly recommend. Princess in East Centre shows football on TV. The pub has terrestrial TV. St Rollox Bowling Club in East Centre has accommodation. The pub has a beer garden, it has a function room that can be booked. St Rollox Bowling Club has an outside area. The pub has a dart board, it has DJ's. St Rollox Bowling Club has karaoke. The pub has live music events, it holds Poker Nights. St Rollox Bowling Club has a big screen. The pub shows football on TV, it has Sky Sports. St Rollox Bowling Club has terrestrial TV. Crown Bar in Glasgow has a beer garden. The pub has an outside area, it has DJ's. Crown Bar has karaoke. The pub has live music events, it holds Poker Nights. Crown Bar has a pool table. The pub holds quiz nights, it has a big screen. Crown Bar shows football on TV. The pub has Sky Sports, it has terrestrial TV. 26/02/2013 Avoid this filthy hole like the plague! 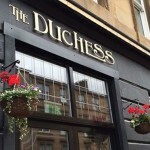 Duchess in Calton gives a warm welcome to dogs and their owners. The pub serves food, it has a function room that can be booked. Duchess has karaoke. The pub has live music events, it has a big screen. Duchess shows football on TV. The pub has Sky Sports, it has terrestrial TV. Centaur in Glasgow has a function room that can be booked. The pub has a dart board, it has DJ's. Centaur has karaoke. The pub has live music events, it holds Poker Nights. Centaur has a pool table. The pub holds quiz nights, it has a big screen. Centaur shows football on TV. The pub has Sky Sports, it has terrestrial TV. Circle in Baillieston shows football on TV. The pub has terrestrial TV. Griers Bar in Glasgow has a dart board. The pub has DJ's, it has karaoke. Griers Bar has a big screen. The pub shows football on TV, it has Sky Sports. Griers Bar has terrestrial TV. 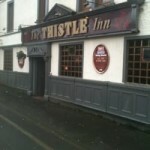 Thistle Bar in Baillieston has a beer garden. The pub has an outside area, it has a dart board. Thistle Bar has DJ's. The pub has karaoke, it has live music events. 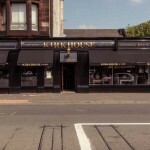 Thistle Bar holds Poker Nights. The pub has a big screen, it shows football on TV. Thistle Bar has Sky Sports. The pub has terrestrial TV. 01/04/2011 Was this pub recommended? John Fairweather in Cambuslang has a beer garden. The pub has disabled facilities, it serves food. John Fairweather serves real ale. The pub has a real fire, it has free WiFi. 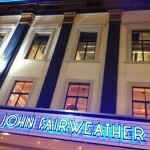 John Fairweather is a member of Cask Marque. 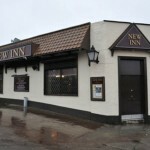 The New Inn has undergone a large refurbishment recently and the outcome is truly fantastic. We have created a pub that you will be proud to call your local.